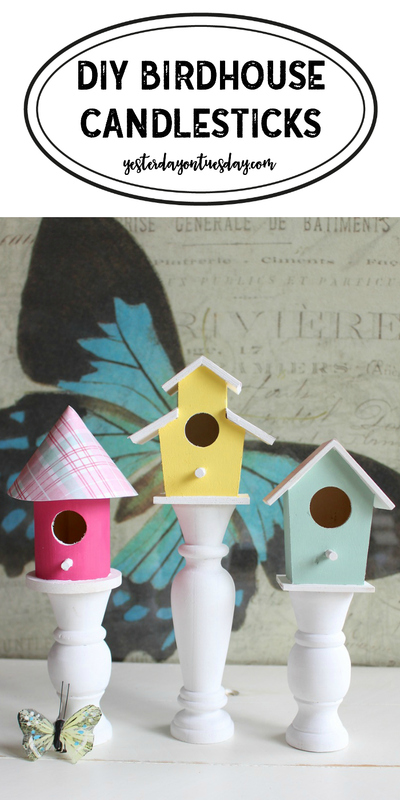 Tweet tweet… these DIY Birdhouse Candlesticks add some spring charm to your decor. 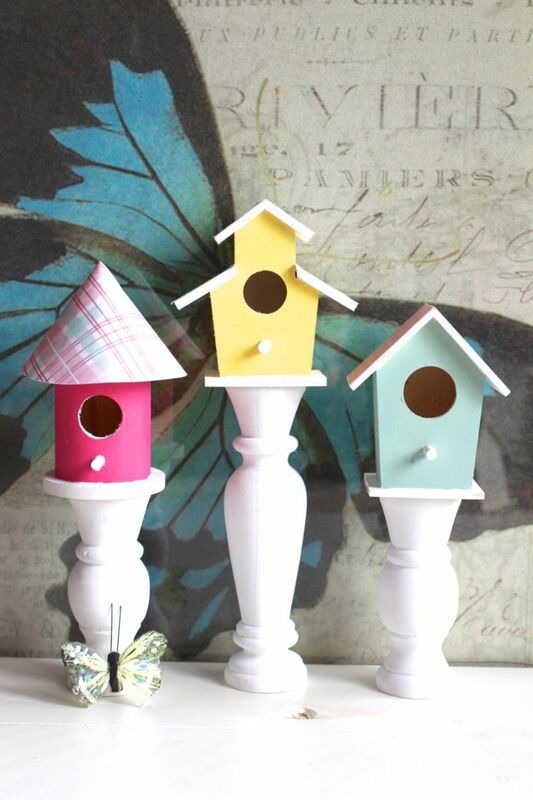 You can paint the birdhouses and candlesticks any color that you like. 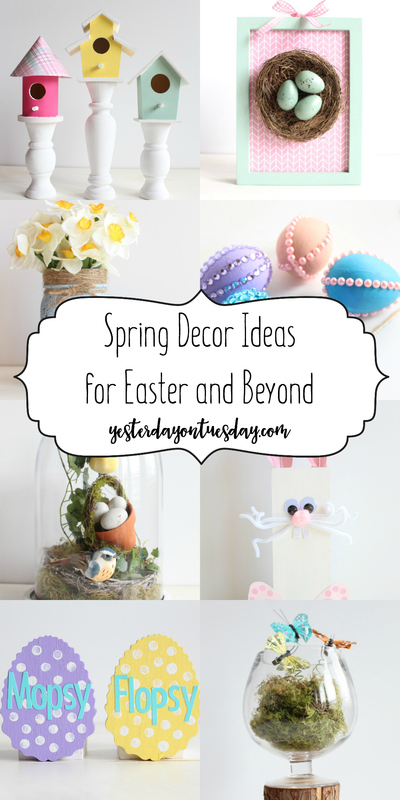 These are brightly hued for spring, but you could also make them more fall or winter. Materials: 3 wooden candlestick holders (varying heights), 3 small wooden birdhouses, acrylic paint (I used DecoArt in Sea Glass (light green), Sunny Day (yellow) and Snow. I also used Delta Creative in Fuchsia (pink). You’ll also need at least three different patterns of scrapbook paper. I used Photo Play Paper “Bloom” by Tracy Smith. You’ll also need craft glue, masking tape and paint brushes. 1. 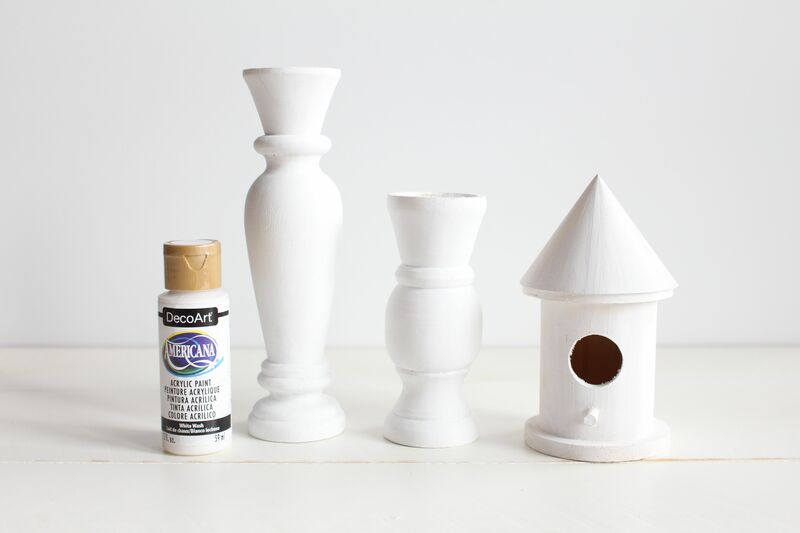 Paint the candlesticks and birdhouses white, let dry. 2. 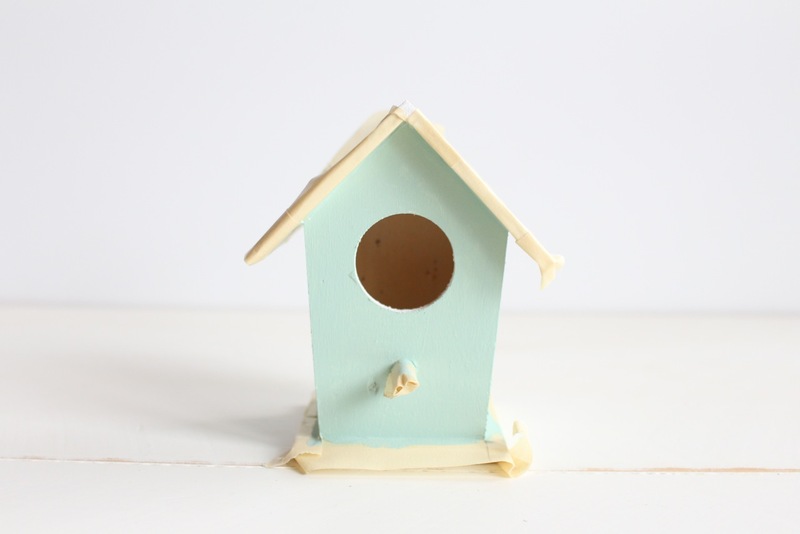 Tape off the roof areas of the birdhouses and the little “peg” on the front and paint the actual birdhouse with a bright color. I used DecoArt in Sea Glass (light green), Sunny Day (yellow) and Delta Creative in Fuchsia (pink). 3. 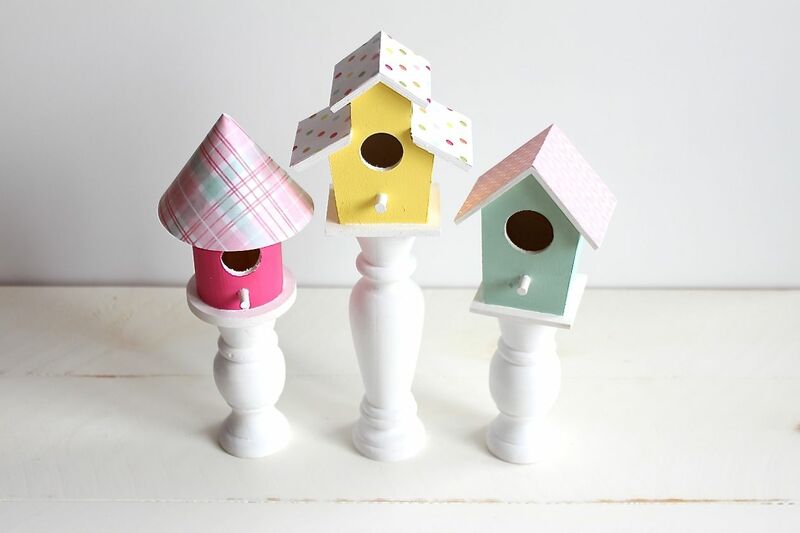 Cut scrapbook paper to fit the roofs of the birdhouses. 4. 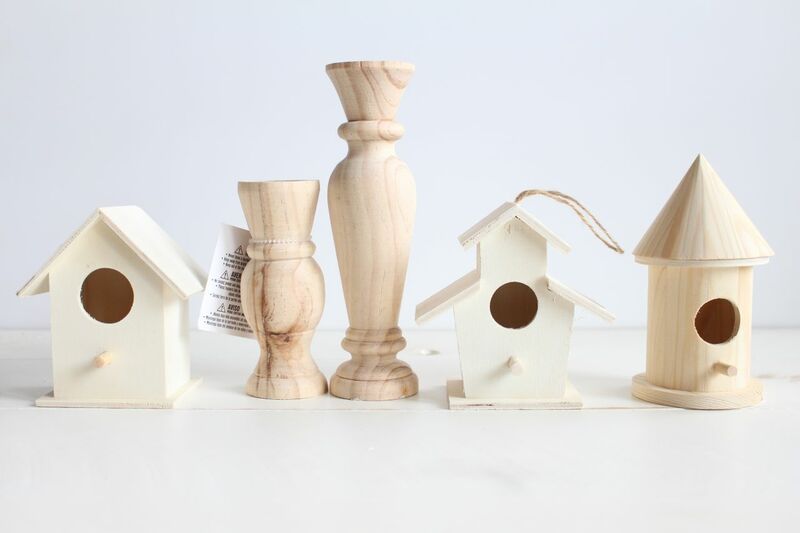 Glue the birdhouses to the candlesticks. I think these would look lovely on a kitchen counter, dining room table, entryway or even the bathroom! These are absolutely darling, Malia!